Athens, GA – For the first time in program history the University of Utah men’s tennis team (1-0) advanced to the 2nd round of the ITA Kick-Off Weekend in Athens, Georgia. 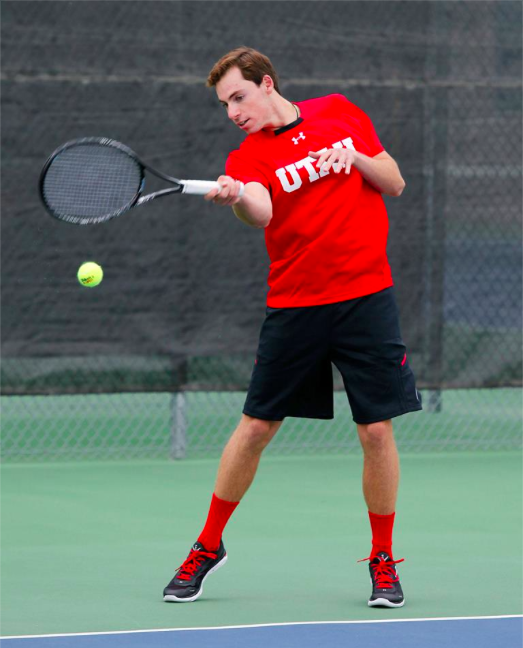 The 60th ranked Utes beat 55th ranked Elon University (0-3), 4-3, on Friday afternoon. The day started off a little shaky for the Utes, who lost the doubles point after losing at No. 2 and No. 3 doubles. But, after 5 minute intermission, the Utes came out blazing, quickly taking the lead with victories by sophomore Parker McGuiness and senior Cedric Willems. The Elon Phoenix briefly tied the match up at 2-2, when Brian Kowalski beat Matt Cowley at No. 3 singles, but the Utes quickly regained the lead when Slim Hamza beat Stefan Fortman in straight sets. Freshman Freddie McGeehan was unable to clinch the match for the Utes losing to senior Juan Madrid in a closely contested three set match, but the Utes still prevailed with a come from behind victory at No. 6 singles. Freshman Santiago Sierra, who was a last minute substitute, defeated Neal Port 6-7(6), 7-5, 6-3 to clinch the match for the Utes after a 4 hour and 35 minute battle. The Utes will face the No. 8 ranked University of Georgia Sunday at 1pm ET. This entry was posted in Schedule/Results and tagged Cedric Willems, Elon, Elon Phoenix, Freddie McGeehan, Georgia, ITA Kick-Off Weekend, Johan Jonhagen, Matt Cowley, Parker McGuiness, Santiago Sierra, Slim Hamza. Bookmark the permalink.